Fix for numeric keypad input. 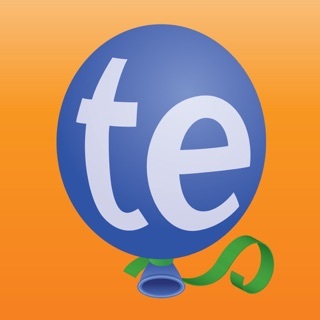 This app does exactly what it says. The first time I used it I got the same error the other reviewer did, it said ‘call completed’ but that’s it. I’ve tried it several times since a then and it’s worked fine. 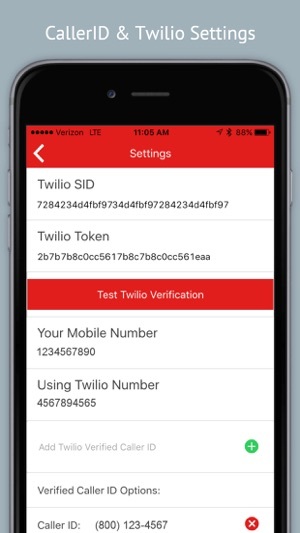 How it works is you select the Twilio number you want to appear to be calling from and you select your verified mobile number. Then you enter a number to call and it calls both that number and your mobile number. 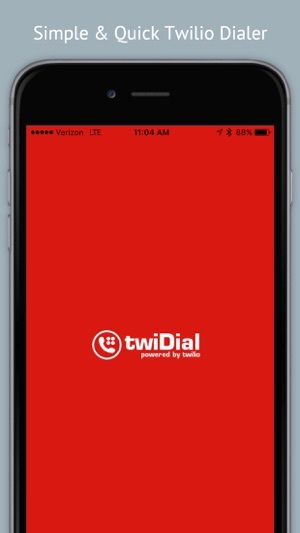 Both you and the person you are calling get an inbound call at the same time from your Twilio number. It took me a few minutes to wrap my head around what was happening but it works great. Not working on my phone. Does not dial out. Just get a pop up message saying the call has been made. ? No option to update, but I'm sure I'll have to buy a new $800+ Apple phone to keep up with the software that leaves old functioning software behind. What a great money making scheme Apple. Well played, but hate to say that will backfire hard. Works perfectly. 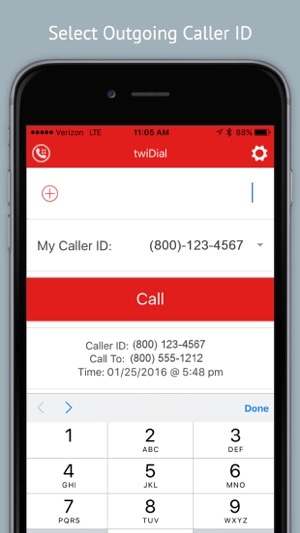 Helps me utilize various numbers to call vendors or other contacts while maintaining my privacy.